When you hear the words “magic” and “story”, they will probably evoke thoughts of your favourite fairy tales from childhood. 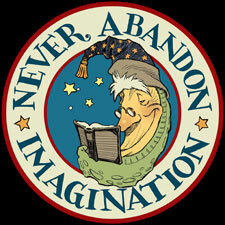 Storybook pages abound with all manner of magic: fantastical fairies, wish-granting genies, or even a certain boy wizard. But here I am not speaking of fairy tales. I am talking about the actual magic that can be conjured in the telling of a story. In 2008, my one-and-a-half-year-old daughter, Sophia, suffered a grand mal seizure. It came from nowhere, for no apparent reason, and took hold of my little fairy-girl. She dropped to the floor convulsing with her eyes rolled up in her head. My wife Angela and I tried to comfort her, but an overwhelming sense of helplessness took over me. This was not a cold that would run its course. It wasn’t a scrape or scratch that could be covered with a bandage and soothed with a kiss. It wasn’t even a broken bone that could be set and healed with a cast. After the first episode, our paediatrician asked us to keep an eye on Sophia and notify him immediately should it happen again. Our doctor in Amherst, New England, where we live, requested a series of medical tests in hopes of finding an answer. Young childhood is a delicate stage in development and growth. As the brain develops, there are many variables. We were told answers may come, but it would take some time. We waited. The seizures subsided for a couple of months then began again, worse than ever. There were several foreboding ambulance rides that autumn to the hospital. One October afternoon, another grand mal seizure overtook her. It was the worst yet. I cannot begin to describe the terrifying feeling of desolation as I saw my little girl strapped down to a gurney and injected with a sedative while a team of doctors and nurses poked, prodded and pricked her. As I held my wife tightly in my shaky arms, I tried to remain calm and strong. My brain kept telling me that the hospital staff were doing the best job they could do to ease my daughter’s pain, but with each of her cries for Mommy and Daddy, my heart wept more and more. Her seizure passed for the moment, and we were transferred to a nearby paediatric hospital. Our little family sat huddled and scared on a gurney in the hall of a crowded emergency room. All around us, people were in pain. The ceiling-mounted television mutely played a rerun of Who Wants to be a Millionaire? I must confess that although I am quite passionate about the books I create for children, I am not the best oral storyteller. In fact, I stink at it. I just can’t come up with a little story off the top of my head. I have to ponder my plots, mull my character’s motivation and steep myself in the subtext. Regardless of all that, I began. “Once upon a time, there was a boy who could see fairies. Real ones, not the sort you’d see in a cartoon…” As I conjured up The Spiderwick Chronicles, a comforting sense of calm wrapped around my family like a warm blanket. I told the story for the three hours we waited for a room. I told her the story while a nurse took her vitals. I told her the story until she fell asleep in the hospital crib. This was our new world. There was more poking and probing in the quest for answers. We passed the time by walking the hallways, reading books and telling more stories. It kept me calm, which came through in my voice. This helped when the phlebotomist was getting blood from my daughter. It helped when Sophia was strapped down for her MRI. It even helped when she had to remain calm for 24 hours with an array of electrodes glued to her head to record her brainwave activity. As long as I was telling stories, Sophia, Angela, and I were no longer in the cold confines of the hospital. We were catching fairies with Arthur Spiderwick. Buzzing around like little flies in Mr Spider’s parlour. We were riding to the moon with Jimmy Zangwow. We were magical beings. The tests finally ended. After many long days, our stay was over. The paediatric neurologist said that Sophia suffered from an extreme case of febrile seizures caused by a quick rise in her body temperature. Eventually she would outgrow them. Our late-night ambulance rides to the ER ceased. Sophia is four now: a vibrant, precocious light of inspiration. She loves being outside, playing make-believe, drawing and, of course, listening to stories from Mom and Dad. She seems to have healed, with no real memory of hospital. But I remember; and I changed. In those haunting days, I found the true power of words. The magic of story. Now, as Global Ambassador for Starlight Children’s Foundation, which brightens the lives of poorly children, I visit hospitals and tell stories to the young patients. Sometimes I read. Sometimes I draw. Often, the children and I create stories together – our own fairy tales – with words and pictures. For a few minutes we leave the hospital behind and travel to a fantastical place for a grand adventure. You should come with us sometime. It is true magic.